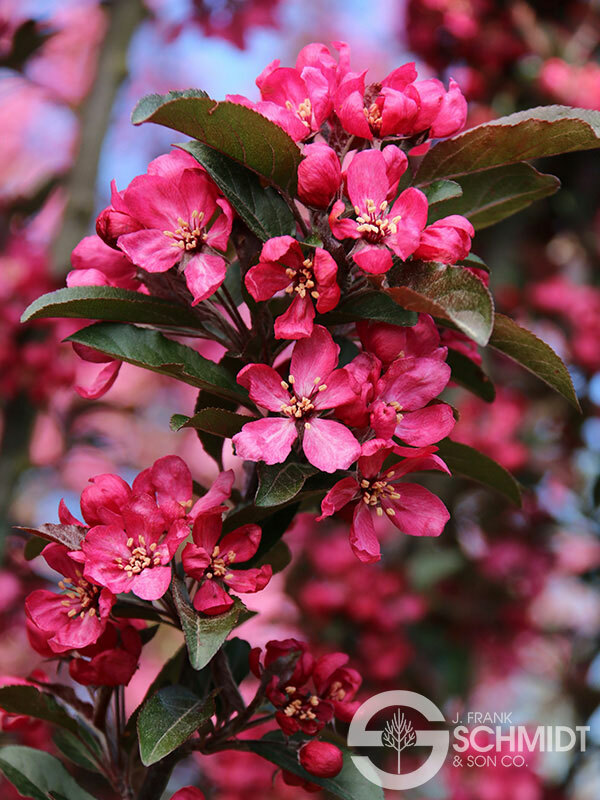 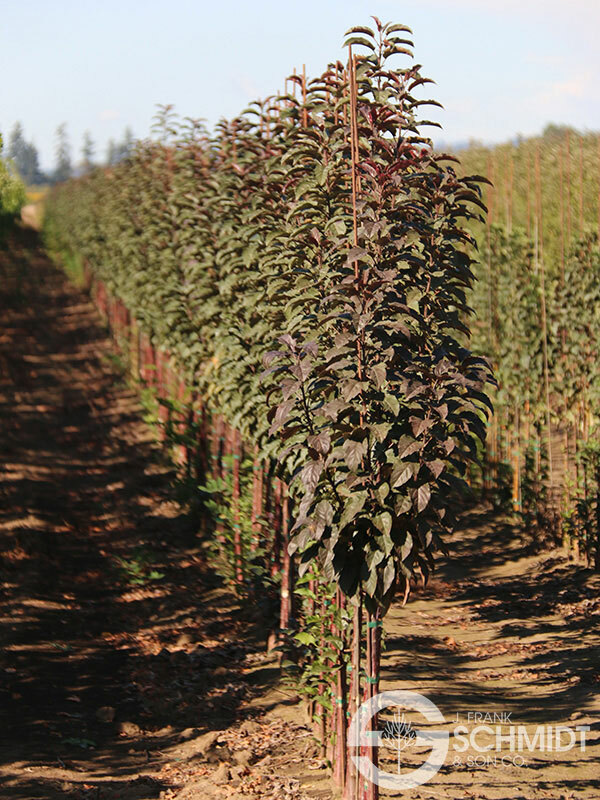 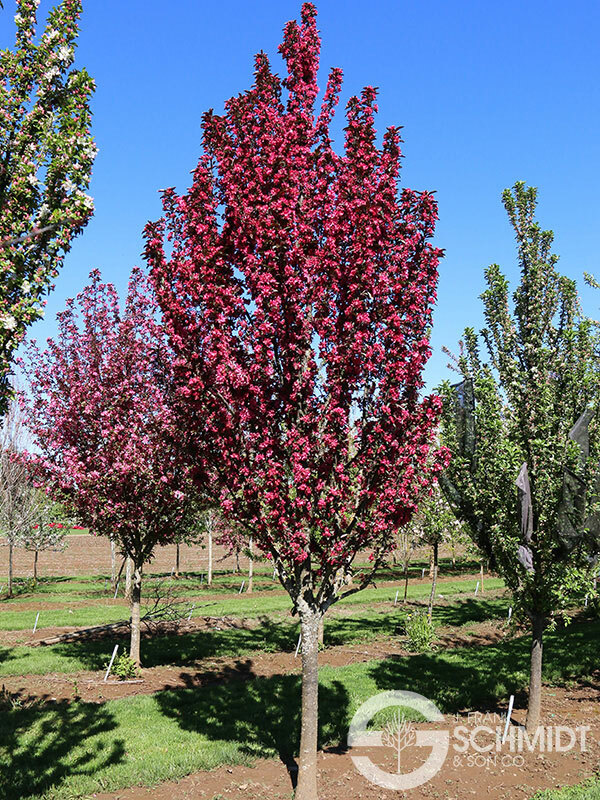 Deep pink buds open to bright magenta flowers on this tightly columnar crabapple. 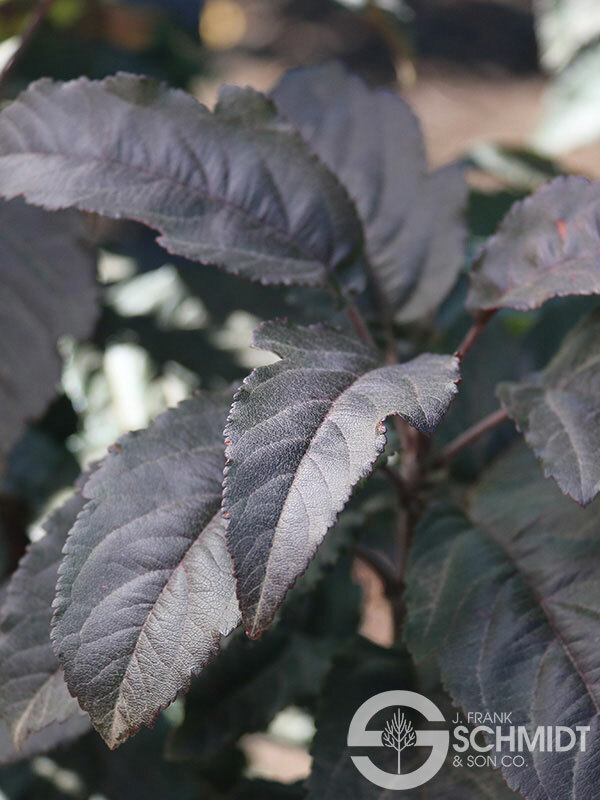 Clean and disease-free summer foliage holds its dark purple color; bronzing on the older leaves in late summer and early fall, when orange tints appear. 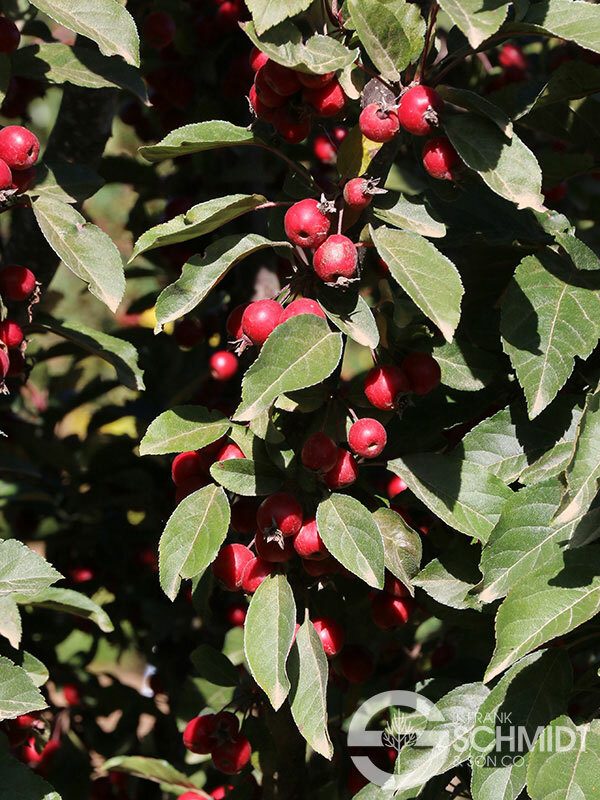 Purple-red fruits ripen to deep bright red and persist into late autumn or early winter. Part of the Spear® family of trees.